Generally, this ratioWins value is broken. We'll work out some other way to calculate it, but it's actually rather difficult in this case. It's in the previous post. Sum(f(x), rangeMin, rangeMax, ind) = // I am aware this is abuse of notation. This is just for demonstration. Gotcha. Seems straightforward enough. 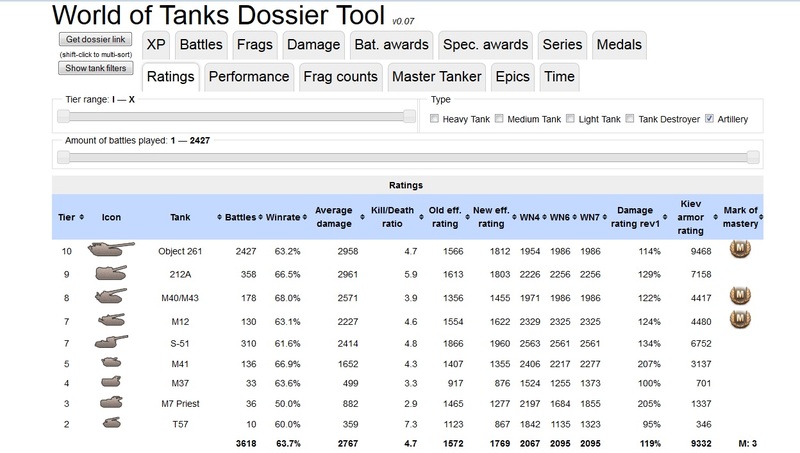 Since you will be providing the tank's topdamage, topfrags, etc., this can theoretically be implemented into worldoftanks.com profile page since it provides the number of battles for each tank. This curve could be easily changed based on WR stats of a bunch of average high tier players who play a lot of low tiers too (not me though, because I haven't played tier 1 for ages and I still have low win rates in those tanks). The reason why it should be for average players is because for the server top, the difference in WR values at each tier will be much less than it would be for an actual average player, though we could possibly use the top stats. In fact, it may be better to just come up with artificial values and see how the curve fits with some players like Marxist, _PanzerVor_, and other seal-clubbers, who have large tier ranges. After this, we would take the total wins at each tier, find the ratio of WR per tier to comparison WR for that tier, multiply it by number of battles, then by tier weight, add up the total at every tier, then divide by the total battle weight (sum of battles at each tier multiplied by their respective weights), to get the final weighted win rate. Finally, we use a function to transform it into a curve which has wWR → [0,1], then multiply it by weightWins, for the final WR value for WN8. Anyways, we will have to figure out what is the best value to normalize by, but I am thinking an average of (floor+cieling)/2 would be best. Floor could be avg stats and cieling could be top 100, top 1% , top 5% or something similar. EDIT: Nope, I thought about it, but didn't post it. ... It is also because some vehicles in classes have very different scouting capabilities. For example, the Loewe has a high view range and tends to insta-spot the enemy team on the Standard Malinovka map, while the Tiger II doesn't. Maybe that was just my crew and modules, but in every battle, if I saw an enemy Loewe or Pershing, I turned right around and got the hell out of there or died. Löwe and KT have the same base viewrange - 400m. It just depends on modules, every tank with 400m + Optics can spot above the field in campinovka. I see. Well, that's what happens when I don't check my stats. :3 I have Coated Optics on my Löwe. I was thinking about this for a while and remembered something. Tier 1 averages are much, much lower than top stats compared to at tier 10. If we just take the average, then unicum sealclubbers would get a massive bonus just for playing at tier 1. Of course, we could just add a term which is a function of tier to each expected damage, or a multiplier. Then again, the stats remain to be received. If I could read the post you mentioned, that might help me understand this more, but at the present moment, it seems to be flawed. While the idea makes sense in theory, it won't work as a raw average of floor and ceiling, due to the vastly different ratios of floor and ceiling at lower tiers. We would be better off with (stat - floor) / (ceiling - floor), and we would probably have to use a value other than the average stat for the floor. Maybe the average stat divided by 2. The problem is that average players won't necessarily have average stats at low tiers, and if they decide to play lots of low tiers later on, then their stats in low tiers will show that they are way above average. Yeah, you are right. 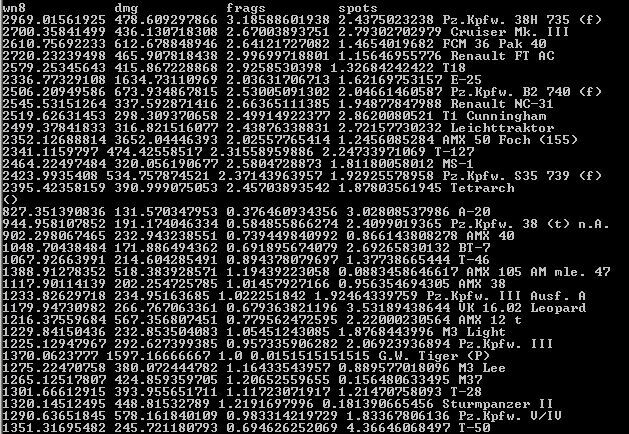 We just have to do some analysis once we get the data to choose how the top will be calculated in order to make it as accurate as possible. Maybe try with different % of the population as tops, and check how each of them work. I was also thinking. Even if someone overperforms top100 in a tier 1, should that be worth the same WN8 as in a tier 10? Let me rephrase that. We all know playing tiers 1-6 can get you huge stats compared to high tiers. Now, if we implement this "sort-of-per-tank" weighted rating for WN8, differences between tanks will dissapear since your performance on each tank will be (kinda) measured against how well the rest of the server performs on it. Lets say the top100 for MS1 is 3 kills and 500 damage. Lets say top100 for Foch155 is 2 kills and 4000 damage. 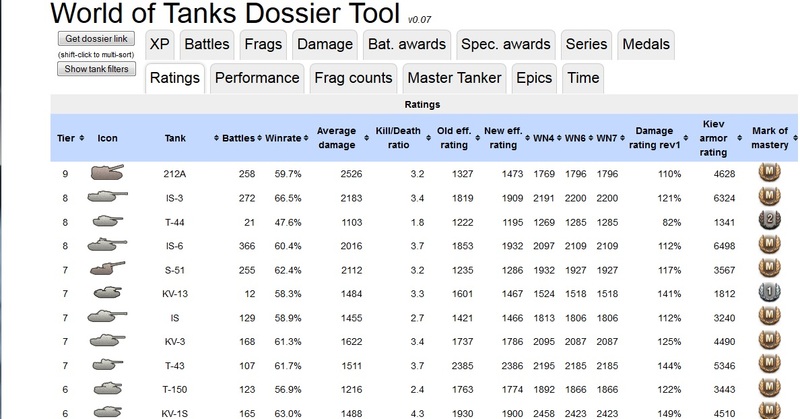 Should a player who only played MS1 getting 4.5 kills and 750 damage get the same WN8 as someone who only played Foch155 and averages 3 kills and 6000 damage? If not, how much less would he deserve? A function to should be added or multiplied to all expected top values, such as [100+(-tier*2 + 20)]/100 * topStat, so that tier 1s require 18% higher stats for the same WN8 result, tier 5s require 10% extra, and so on. I noticed that sela has higher above top stats in his tier 1s than in his tier 10s, so I thought of this. About tier, we can just scale the top100 value up by 2% per tier difference from tier 10. For example, for tier 1, the top100 values would be increased by 18%, 10% at tier 5, 4% at tier 8, 2% at tier 9, etc. Zakaladas and his VK3601 is a good example. Post release, pre-nerf konish gold spam (when the rounds were gold only), compared to someone who picks it up now? Same thing with the Lor 40 when it was tier 8, anyone who plays it now is at a disadvantage statistically. many other examples as well. I have read this entire thread and nothing much can be done? I have read this entire thread and nothing much can be done? Pretty much. WG's API doesn't have historical data (ie. when different tanks were played), so we can only go by what we have. Talking about floors and ceilings, what if you set WN8 800 to be average values for your combination of tanks, 2000/2200/whatever to be the top values in those tanks, WN8 below 800 is basically proportional to the average, 800-2200 proportional to (ceiling-floor), 2200+ proportional to ceiling? After all, when evaluating players near average, average power of a tank is relevant. When evaluating purples, the ceiling is relevant. It's not that easy. As I have already said, it won't work at all. Average players who play lower tiers will pretty much automatically get higher WN8 scores simply because the average damage at those tiers is so much more distant from any possible ceiling. Right now, all we can do is make the preliminary formula and multiply it by a number to set the average WN8. And this is after I filtered the data to players with at least 50 games on tank. To have an approximate performance rating I used WN7, and checked what class was getting whacked the most. To my surprise SPGs are pretty balanced, even with the tier change. Lastly, WN by tier. Man those tier 4 tanks are bad. A-20 specially is dragging down the WN for it´s tier lol. Seems everyone sui-scouts in it. Although the numbers dont seem that unreasonable, for the Lee an up. Maybe we could multiply all tank values by tier average or something to make them less extreme? what server are these numbers from? after you sort out WN8 especially the damage part, there really should be something done to WN for the good arti players (top ~5%) because they really get punished. I cant comment on % of random solo vs platoon/cw/tc, but 1986 WN7 on 261 for the "best" arti player and even the Obj 212 has a "pretty low" number. If Praetor77 or someone else involved with WN-rating wants to look at the dossier please pm me. Please upload both (and any other dossier you can get your hands on) to vbaddict.net. WE need a bigger database to be sure our numbers are not biased. Arty will be balanced out pretty nicely by using tank specific stats. They usually get lower kills/game but higher DMG/game than same tier tanks, which in WN7 hurt them, but this should no longer be the case for WN8. 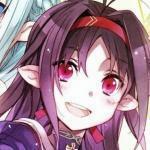 Unfortunately, I can't see any of those images in your post, Praetor. Could you switch to dropbox from now on in this thread? I put the data in there too.. careful, its big. As a comparison, I sorted by alphaWN8 and threw out top 1% and bottom 90%. Thank you for the delicious data!